Christmas Stamps from Tim, I couldn’t wait to get started. 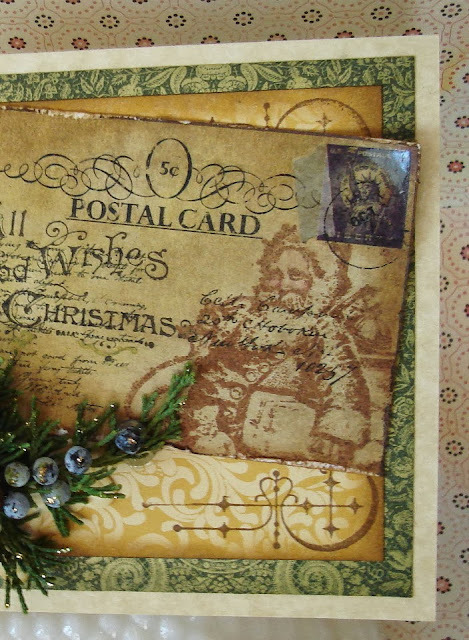 This Vintage Santa is from the Mini Holidays 5 (CMS 177). The little lady is from The Graphic Fairy, the beautiful lace doily is new from Spellbinders. 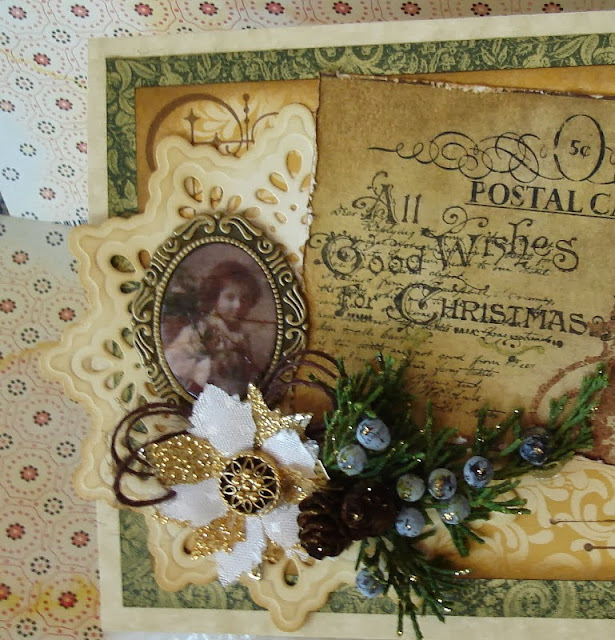 The Post card is from DCWV, printed papers from my scraps. I used Cracked Glass technique on the little Lady graphic. Plus pale gold leafing pen on the oval frame. Distressed Inks along with Mementos inks. we have a beautiful but chilly day here only 52 degrees but great for a football game! 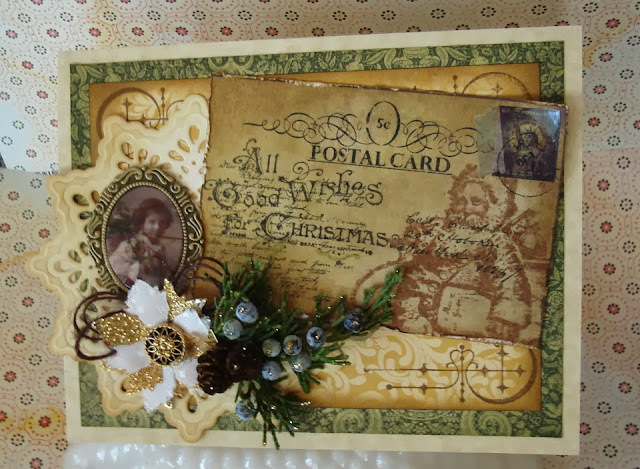 Great Vintage appeal, I am pleased that you have started up your Christmas cards, because now I can glean some inspiration and enjoy every minute.... Ha. Vada this is an exquisite creation and how we all wish for such a card to be delivered for Christmas. 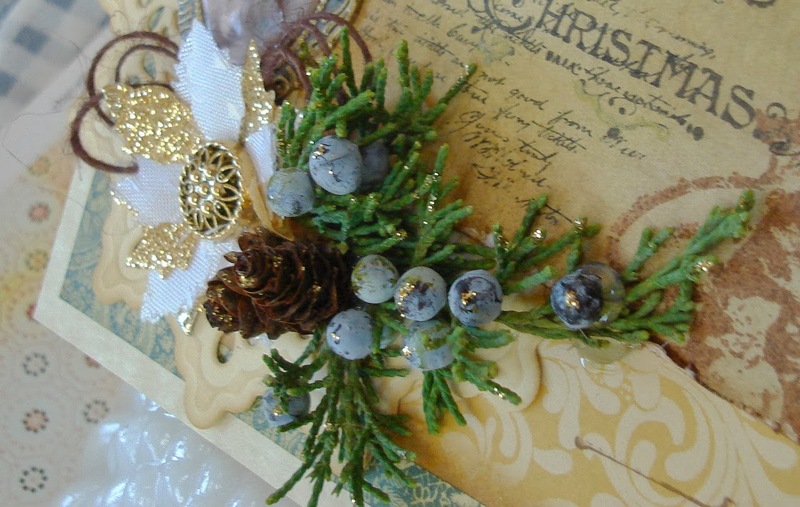 Love the stamping, such gorgeous details!